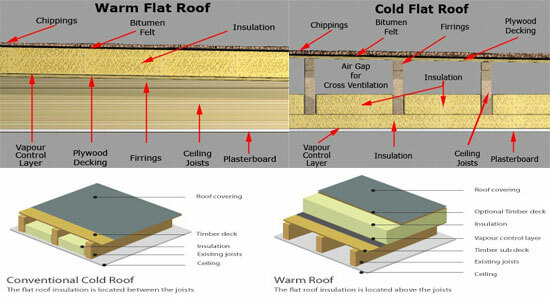 Im afton asked whats the difference between warm roof and cold roof construction. In this video I explain three different ways of building a flat roof using the warm roof and cold roof methods I explain the height each roof will be and all the benefits and drawbacks of each method. If you need andy more information please give me a call, 07802 300 099. Steve at London Flat Roofing www.londonflatroofing.co.uk.